StudioCentre is a new mixed use employment development on Eastern Avenue, just east of Toronto’s downtown. Anchored by a revitalized film production studio called Revival 629, StudioCentre will leverage the film business to create a new digital media hub that will attract leading-edge digital media companies, corporate services and start ups. 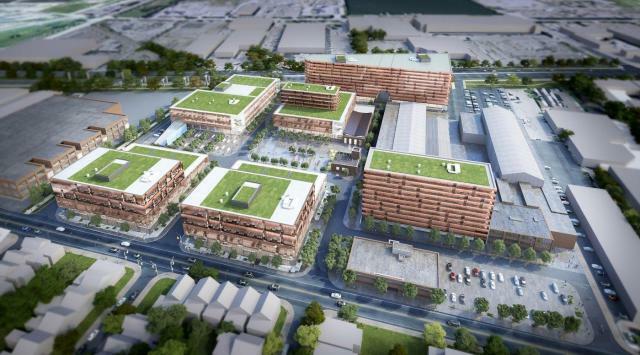 The new business destination will be supported with a new hotel, plus retail and food service businesses, as well as significant new amenity space that connects to the neighbourhood.